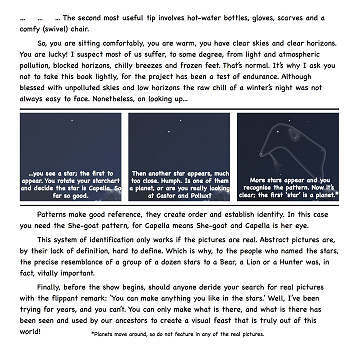 This fascinating book is about using star and constellation names to rediscover the shapes our ancestors saw in the stars. 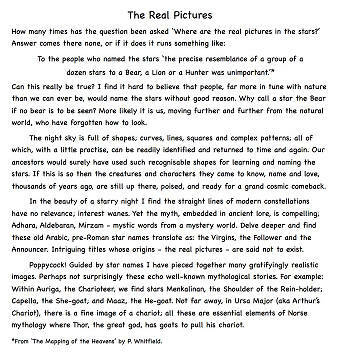 Woven into mythology names such as Ursa Major, the Great Bear, and Sirius, aka the Dog Star, have survived the centuries though their images were thought lost. Nick has relied on careful observation of both stars and earthly reality to find awesome pictures which bring the night sky vividly alive. Fridge magnets also available in full sets of 24. Full details here. 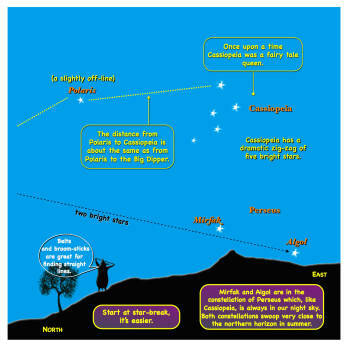 Over the years there has been much speculation regarding the nature of the Star of Bethlehem. 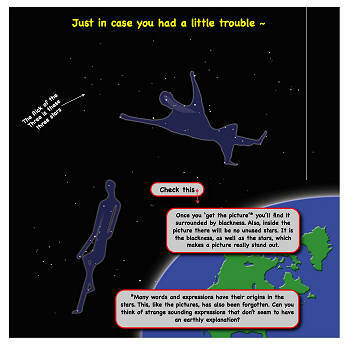 All of it based, seemingly, on the notion that it was a real cosmic occurrence. The same type of speculation will probably surround Harry Potter and his broomstick in five hundred years time. Our ancestors surely loved fantasy, as we do today, and by recognising real star pictures we can see how they created their stories. To learn how to see the Star click here. 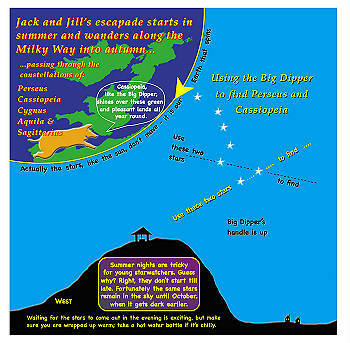 Specifically for schools, though suitable for all, Nick is now presenting a series of nursery rhyme-based shows in Schull Planetarium. If you ever wanted to see a Weasel go Pop! or pondered the curious tale of the Three Blind Mice then contact us for more details. Nick lives in Ireland where horizons are wide and skies largely unpolluted. He keeps goats, donkeys, occasionally pigs and, when the fox allows, ducks. Pastimes include windsurfing and gardening. Worktimes include running a summer kayaking business. 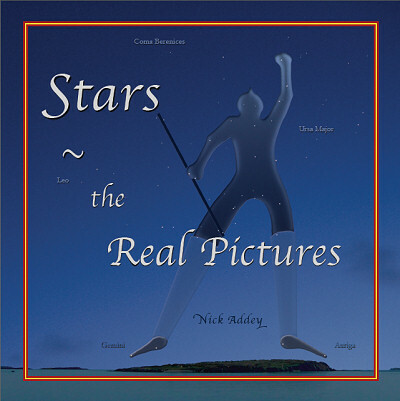 While 'Stars - the Real Pictures' shows how star-pictures can be found, the Little Pig Star Books reveal how such pictures were crafted, cartoon-style, into stories and rhymes. 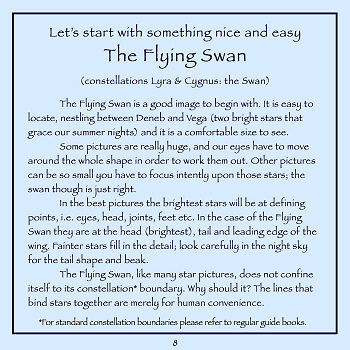 Since star patterns now are basically the same as they were 'in ancient times', it is quite possible to step back into the past. 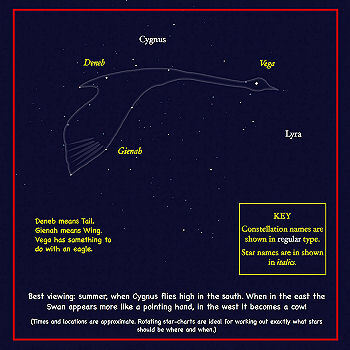 Gaze up at the stars and, with practise, you can read/see the rhymes and stories, as they were read/seen, by our ancestors. 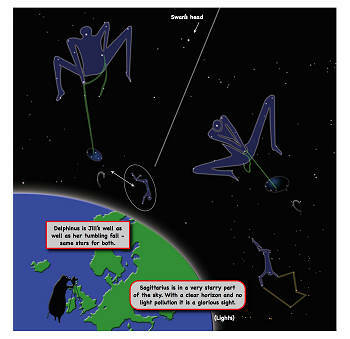 Imagine - the night sky is a cosmic T.V. with playback! 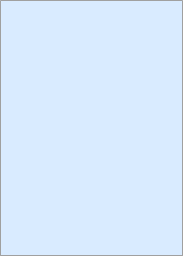 At some point, however, the star-pictures faded (Little Pig says a Great Darkness came and covered the land) and, though the words remained, the real pictures were lost. Little Pig Star Books, in conjunction with 'the Real Pictures', are a way back to the glory nights of long ago. 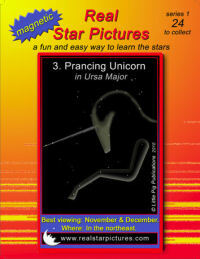 Designed with adults and children in mind these books make the stars fun to learn and easy to remember. ...and then bring them alive!